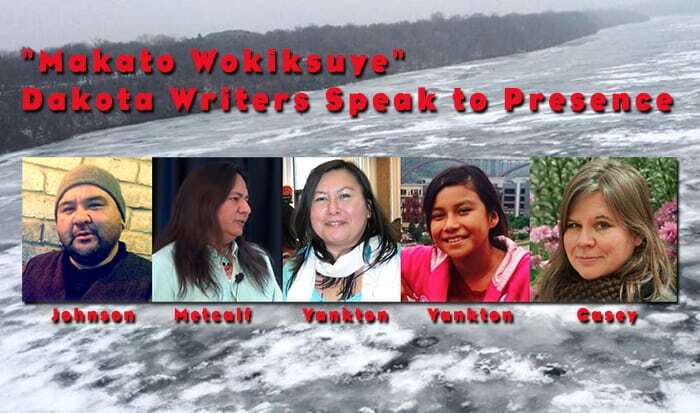 “Makato Wokiksuye” Dakota Writers Speak to Presence will be presented on Saturday, December 26, from 4:00 to 5:30 p.m. at the Black Dog Coffee and Wine Bar, 308 Prince Street in Saint Paul. All ages, no cover, donations welcome. Food and beverages for sale. Follow the action on Twitter with @AlmanacLive and #LRJ. On the 153rd anniversary of the largest mass execution in the history of the United States, the hanging of thirty-eight Dakota men in Mankato for their role in the U.S. Dakota War, contemporary Dakota writers speak to Presence. We speak several generations after the U.S. Dakota War and the United States government’s expulsion of Dakota from Minnesota. We speak, even as we are often erased or misrepresented in mainstream media and culture. We are here. Please join us as we reflect, remember, and share. 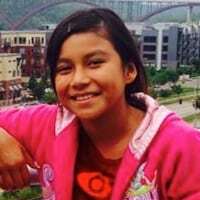 Lisa Yankton is a community editor at the Saint Paul Almanac, a member of TGIFrybread Writers, and serves as a board member on The Circle newspaper. An award-winning poet, Lisa uses her writing and presence to create positive change, and her work was recently highlighted on PBS NewsHour. 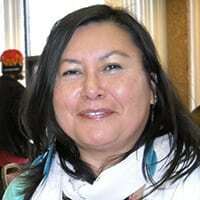 She is the mother of two lovely daughters and a member of the Spirit Lake Dakota. From Bdote and of Mdewakanton Dakota and European-American heritages, Colleen Casey considers herself a person of crosscurrents and confluences. Because of intermarriage and mixed-blood status, her Dakota forbears were among the estimated 3-5% of Dakota people who were allowed to stay in Mnisota after the U.S. Dakota War of 1862. 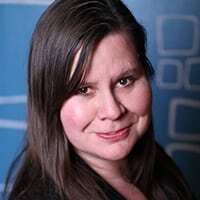 Colleen is a teacher, artist, and community organizer who aspires to be the change she wishes to see in the world. She is delighted to be a community editor at the Saint Paul Almanac. She believes we are all related. 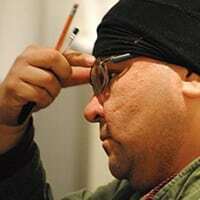 Nicholas “Cetanzi” Metcalf, MSW, is an enrolled member of the Rosebud Sioux Tribe in South Dakota, where he grew up. Nick attended the University of South Dakota and Augsburg College for a Master of Social Work in Family Therapy. Nick currently works for Hennepin County Human Services Public Health Department. Nick is a poet and a columnist for The Circle newspaper. Nick is a proud parent. 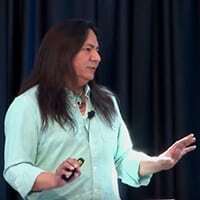 Richard Merlin Johnson Jr. is an Isanti Dakota registered with the Santee Sioux Tribe of Nebraska. His grandmother’s grandfather, Grandpa Garvie, was four years old in 1862 when he was moved with his people from Fort Snelling to Nebraska, after the Dakota Sioux Conflict. Grandpa always told his family that he and his kin were direct descendents of the thirty-eight Isanti hung in Mankato 153 years ago. In the 1960s, his father, Richard Sr., was one of the organizers of the Alcatraz occupation and director of the then-budding L.A. Indian Centers. His father’s teachings and activism had a great impact on Richard’s art, traditional values, and activism. Richard is a poet, writer, actor, painter, traditionalist, and activist. Richard Jr. is also Chumash Californian Native and Chicano from his mother’s, Suzanne Johnson’s, bloodline. Alexa Yankton is a member of the Spirit Lake Dakota. She is in the eighth grade at DaVinci Academy. Alexa is a community editor at the Saint Paul Almanac, a playwright, and the author of “They Are Always Watching.” She delights in hiking nature trails, traveling, and being with her family and friends. Alexa is a Pow Wow Princess and water carrier at ceremonials.